Featuring micro allergen technology by 3M, 65702 Filtrete vacuum bags help your Dirt Devil to capture up to 94% of particles including dust, dust mite debris and pollen. Ideal for those that suffer from indoor seasonal allergies. For best results, replace these vacuum bags once every 1 â€“ 2 months, based on frequency of usage. A genuine OE part. 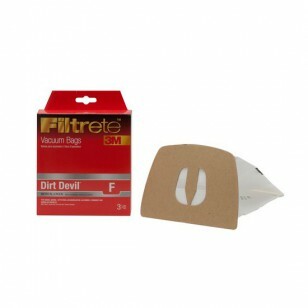 Better capture the contaminants that can dust up your home or trigger your allergy symptoms by ordering the replacement 65702 3M Filtrete vacuum bags your Dirt Devil needs today. Order by 4pm CST for same day shipping.